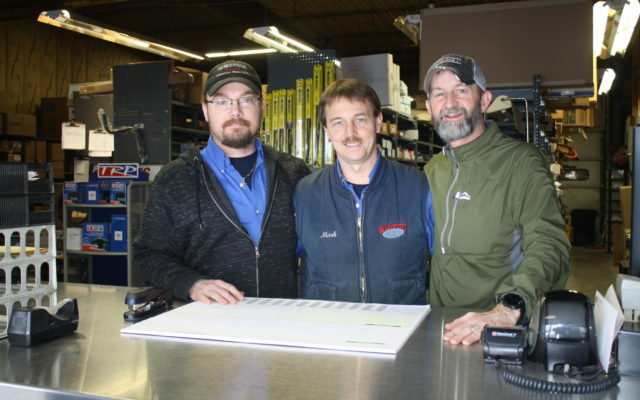 This year marks the 25th anniversary of Whited Peterbilt Truck and Repair, a Ford truck repair shop in Presque Isle, where longtime employees credit their success to forming tight-knit community connections. PRESQUE ISLE, Maine — This year marks the 25th anniversary of Whited Peterbilt Truck and Repair, a Ford truck repair shop in Presque Isle, where longtime employees credit their success to forming tight-knit community connections. When Whited Peterbilt first opened its doors in 1994, the business operated a Ford Sterling truck dealership on Main Street, where Griffeth Ford is now located, and a heavy truck repair and sales division out of its current location at 17 Houlton Road. Glen Mahan, service manager at Whited Peterbilt, has been with the business since its 2nd year of operation in 1995. He began his career in the parts department and became service manager three years later. Over the past 25 years he has seen the company deal with the loss of its Ford Sterling truck dealership in 2009 after Ford ceased production of the Sterling model. That same year the company became Whited Peterbilt and continued providing heavy truck and trailer repair services. Today, Whited Peterbilt has 13 full-time and part-time employees, four of whom have 20 or more years of experience with the business. Mahan said that some of the biggest changes he has seen within the truck repair industry involve how much education and training his employees have needed and what the business has needed to do to keep up with the latest technological advances in car repair. “You used to be able to just train a mechanic to fix vehicles but now they need to be certified technicians and have a college education along with extra training,” Mahan said. Mahan thinks that the business’s greatest success has come from being able to establish trust with their customers. Being in a small community, he said, means that word-of-mouth advertisement can either “make or break” a local business, especially as the price of truck repair parts rises and the financial costs of living in rural towns increases for many folks. But Mahan gives credit to his fellow employees for making sure that everyone treats customers fairly and with respect.